In our last blog post, we had a bit of fun and talked about some of the most haunted places in Sacramento. We joked that a ghost may be responsible for a disorganized garage and not being able to find a particular item. If you have a ghost in your garage, they might not be the only resident who is squatting on your property. 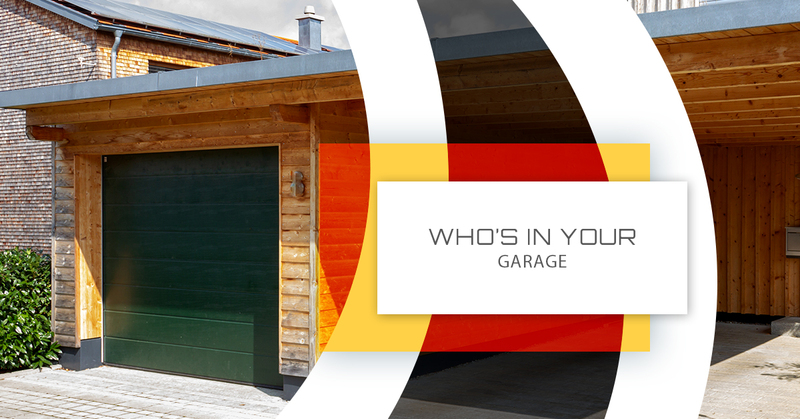 Pests may also be calling your garage home — and if they aren’t paying rent, they need to be kicked to the curb. Find out who may be hiding out in your home this November, besides your out-of-town relatives. Depending on where you live in the area, you may be playing host to a number of creepy crawly guests. However, here are some of the main ones that can take up residence in your home. As the poor residents of Elk Grove are finding out, cockroaches love coming to visit our homes, and like your mother-in-law, may be difficult to get out the door. These nasty little pests are crawling up pipes, hiding in the walls, and taking leisurely strolls through your garage. One way to kick these gross little critters to the curb is to get rid of all possible hiding places: get boxes and storage containers off your garage floor. Clutter and other items are essentially open invitations for roaches to come into your garage. Silverfish, like roaches, love to hide under objects and in any dark space of your garage. They love to eat the glue of cardboard boxes and feast on clothing, flour, meat, paper items, and even their silverfish neighbors — nasty! If silverfish are allowed to hang out in your garage, it is likely that you will have an infestation on your hands; silverfish can lay as many as three eggs a day! We all have been the victim to a close encounter with these eight-legged creeps lurking in our garages. They seem to turn up when you least expect it and when you have to get out that one box of Thanksgiving decorations. These pests can actually help you with your pest control problems because they eat other garage pests, but they can themselves overstay their welcome, leaving webs and eggs everywhere. Spiders love dark nooks and crannies to hide. Listening to the crickets play their song may be romantic when you are outside enjoying the warm breeze of a summer night. However, they quickly lose their appeal when they’re in your garage. Camel crickets can destroy fabrics and clothing even when they are kept on the highest shelves. Crickets can also be food for other pests such as spiders. The name of this pest says it all: ground beetles can be found on the ground under rocks, boxes, and any other dark space. Because they are more active at night, they love to find dark, safe places to hide during the day. Our garages can be the perfect places for these little pests. They most often find their way in through holes or cracks, and by flying in. Unlike their name suggests, sowbugs aren’t actually bugs; they are crustaceans that live on land and enjoy areas of high moisture. These creatures will hide during the day to avoid losing moisture and will eventually make their way inside your home. If you have found several sowbugs wandering around your home, it is likely that your garage may be infested with them or a big population lives somewhere nearby. Don’t give sowbugs a place to hide — pick up your boxes and other items off the floor and store your items in garage cabinets. Mice love taking refuge in our garages, especially when fall temperatures start to drop. They will even climb into your car if they have the opportunity. These little furry critters won’t just chew up paper items for nests, poop all over, and eat any pet food that you store in your garage, they will also crew on items like the wires in your car. To get rid of these little pests, you must keep your paper items, pet food, and other items inside your home and get rid of any space that they can hide. You must also seal off even the smallest holes and cracks into your garage to avoid mice entering your space. Possums may even decide to call your garage home if given the right invitation. These pests will eat your pet’s food, tear up your garage, eat your garbage, and even have the audacity to die under your porch. They can also carry harmful parasites. One way to avoid a possum problem is to seal your garage property and to keep all those items that possums love to eat and chew on out of their reach. How Do I Get Rid of My Pest Hotel? If you are playing host to a variety of bug pests — our list above is not exhaustive — it may be time to consider not only calling an exterminator, but installing custom garage cabinets! Our garage cabinets can not only eliminate all those dark places that pests can hide, but keep their food sources up and out of the way. To learn more about our custom garage cabinets and how they can fit your needs, visit our website. Advanced Garage offers free estimates and serves the El Dorado Hills, Elk Grove, Fair Oaks, Folsom, Rancho Cordova, and Roseville areas. Visit our website today!